UCOG Today [Paul Kieffer] » Blog Archive » Too big to fail? Not Citibank! Too big to fail? Not Citibank! 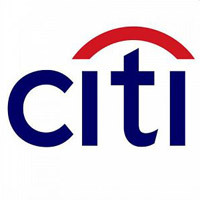 Citibank got a huge bailout from the U.S. government because it was supposedly "too big to fail". But in my case Citibank has already failed – at basic math and English. Several months ago I took out an interest-free cash advance with Citibank. As a ten year customer, I had a high credit limit and nothing charged on my card. All I had to do was make regular payments within the term of the loan (one year). At the same time, I had about $48 in cash rewards in my account, which I could not redeem until the amount reached $50. I wasn't too concerned about that, because as soon as I had the cash advance paid off I would be using the card again for some regular purchases, so my rewards balance would eventually reach the minimum redemption limit. Since I was making regular payments on time, I did not pay much attention to my monthly statement. Then all of a sudden one month my cash rewards balance went to zero. I was puzzled by that, so I checked the previous month's statement. Sure enough, it told me that because of inactivity on my account my rewards balance would be reduced to $10 the following month. However, instead of it being reduced to $10, it had been zeroed out. If that is an example of Citibank's math skills, it is no wonder they needed a government bailout. So I called the customer service line. I was told that there had not been any activity on my account. I replied by saying that what they apparently meant was that there had not been any new purchases, since I had been making regular payments and a payment credit was account activity. However, the person seemed to have difficulty understanding that. But I was assured that if I made some purchases within the current billing period, my rewards balance would be restored with my next regular statement. Since my cash advance was just about paid off, I made a final payment and made a couple of purchases, as instructed to do so by the customer service representative. When my next statement showed up, my rewards balance reflected on the percentage of the new purchases. I called a customer service representative again (this time the person was in the USA instead of a foreign country), and although sympathetic, the representative was unable to do anything. In my opinion, Citibank is so big it failed – to understand basic English and to understand a math error. Needless to say, I took my business elsewhere!